South Eastern CT's Quality Stamped Concrete Expert in Design and Installation. Servicing Southern New London County. we are a veteran owned company. Don’t settle for a plain grey concrete. 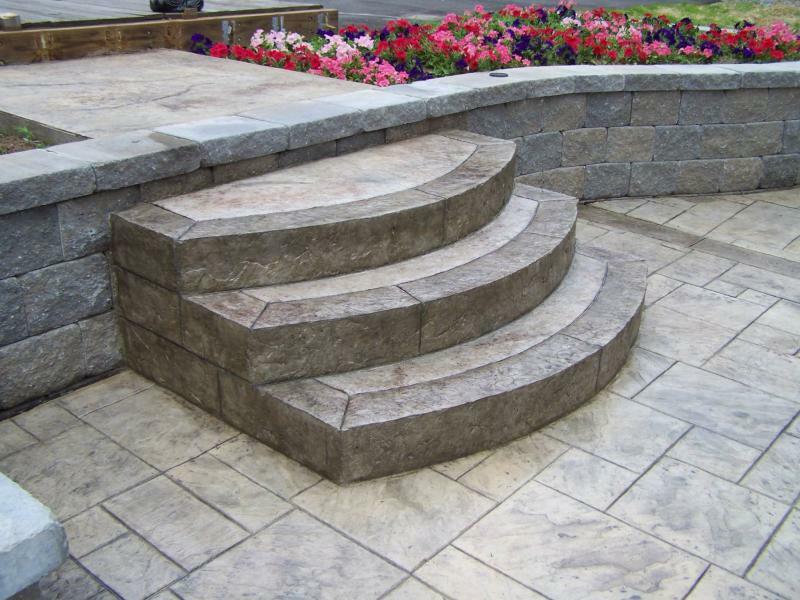 Bring out the beauty with stamped concrete from GS Flatwork. Your decorative stamped concrete can look like something it’s not – brick or stone, for a much lower cost. There are many different options available to fit your budget. You can get a simple brushed broom concrete, add color and stamped accents, or get full colored and stamped decorative concrete. Don’t let your existing stamped concrete become moisture damaged. Your concrete will last longer if it is maintained and resealed regularly. Dry block retaining walls are also available. Imagine what a new patio could do for your home. Call GS Flatwork, LLC today at (860) 859-3876 to discuss all the options available, or browse our website for more information﻿.